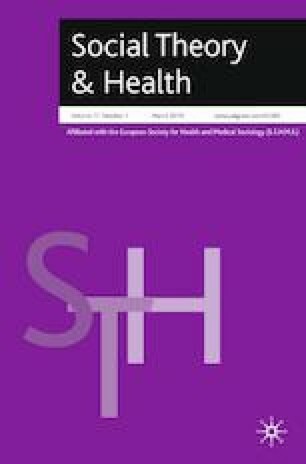 This paper analyses how the UK national press has covered local decision-making on options for the integration of health and social care. In England, as part of a major restructuring of health services, the UK government has devolved significant decisions on reorganising services to local areas. This increasing ‘localism’ in healthcare has been a global trend, albeit an uneven one. The article assesses the insights of Amitai Etzioni and others, as applied to national newspaper coverage of local decisions. It finds Etzioni’s analysis to be not fully supported. Following other journalism research on the NHS, we show that contentious points of wider public interest were little reported on, such as international corporate influence and the potential for fragmentation across a national health service. The authors would like to thank the anonymous reviewers for their very helpful insights and suggestions. See Tables 1, 2, and 3. Adonis, A. 2014. Mending the Fractured Economy. http://www.policy-network.net/publications_download.aspx?ID=8991. Accessed: 26 May 2015. Cameron, D. 2009. A radical shift of power from the centre to local communities. http://www.theguardian.com/commentisfree/2009/feb/17/cameron-decentralisation-local-government. Accessed 26 May 2015. Clifton, J. 2016. Prisons and prevention. http://www.ippr.org/files/publications/pdf/prisons-and-prevention_Jan2016.pdf. Accessed 13 March 2016. Cordery, S. 2018. Planning guidance: The NHS moment Health Service Journal. https://www.hsj.co.uk/policy-and-regulation/planning-guidance-the-nhs-moment-/7021630.article. Accessed 10 May 2018. Glasby, J., and M. Exworthy. 2015. State of the nation: Ten things we’ve learned about the NHS under the coalition. http://theconversation.com/state-of-the-nation-ten-things-weve-learned-about-the-nhs-under-the-coalition-39334. Accessed 26 May 2016. Government, H.M. 2011. Localism Act 2011. Commentary. Queen’s Printer of Acts of Parliament, http://www.legislation.gov.uk/ukpga/2011/20/contents/enacted. Accessed 13 March 2016. Ham, C., and N. Walsh. 2013. Making integrated care happen at scale and pace. The Kings Fund, London. http://cdn.basw.co.uk/upload/basw_105641-3.pdf. Accessed 31 August 2014. Hansard. 2014. House of Commons Hansard Debates for 22 July 2014 (pt 0001). http://www.publications.parliament.uk/pa/cm201415/cmhansrd/cm140722/halltext/140722h0001.htm#140722h0001.htm_spnew50. Accessed 15 June 2015. HoC. 2012. Health and Social Care Act 2012, http://www.legislation.gov.uk/ukpga/2012/7/contents/enacted. Accessed 24 May 2014. Hudson, M. 2014. Big four audit firms behind global profit shifting, http://www.smh.com.au/business/big-four-audit-firms-behind-global-profit-shifting-20141106-11i08q.html. Accessed 26 May 2015. Iacobucci, G. 2012. CCGs embrace advice from private firms. Pulse Today. http://www.pulsetoday.co.uk/commissioning/commissioning-topics/ccgs/ccgs-embrace-advice-from-private-firms/20000642.article. Accessed 26 May 2015. Kirby, D. 2015. Welcome to the MHS! That’s the Manchester Health Service., Manchester Evening News. http://www.manchestereveningnews.co.uk/news/greater-manchester-news/welcome-mhs-thats-manchester-health-8720557. Accessed 26 May 2015. Marcos, J. 2014. Madrid abruptly cancels plans to outsource management at public hospitals., El Pais. http://elpais.com/elpais/2014/01/27/inenglish/1390844787_448815.html. Accessed 26 May 2015. Milburn, A. 2014. The NHS is in an era of opportunity as well as challenge, Financial Times. http://www.ft.com/cms/s/0/845c9e10-9fe1-11e3-9c65-00144feab7de.html#axzz3bGKCi72n. Accessed 26 May 2015. NHS England. 2016. New care models. https://www.england.nhs.uk/wp-content/uploads/2015/11/new_care_models.pdf. Accessed 26 June 2017. NHS England. n.d. Consultation on contracting arrangements for integrated care providers (ICPs). https://www.engage.england.nhs.uk/consultation/proposed-contracting-arrangements-for-icps. Accessed 7 October 2018. Oliver, D. 2014. Stop wasting taxpayers’ money on management consultancy for the NHS., BMJ 349(December), p. g7243. https://doi.org/10.1136/bmj.g7243. Accessed 26 May 2015. Oxfam. 2014. A Dangerous Diversion: Will the IFC‘s flagship health PPP bankrupt Lesotho‘s Ministry of Health? http://policy-practice.oxfam.org.uk/publications/a-dangerous-diversion-will-the-ifcs-flagship-health-ppp-bankrupt-lesothos-minis-315183. Accessed 2 Jan 2015. Saltman, R.B., A. Durán and H.F.W. Dubois. 2011. Governing public hospitals: Reform strategies and the movement towards institutional autonomy. http://www.rahvatervis.ut.ee/handle/1/4662. Accessed 6 Aug 2012. Saltman, R., K. Vrangbaek, J. Lehto, and U. Winblad. 2013. After decades of decentralisation, the state now has a growing role in Nordic health systems. LSE European Politics and Policy (EUROPP). http://eprints.lse.ac.uk/50190/. Accessed 23 April 2016. The Economist. 2015. Attack of the bean-counters., The Economist http://www.economist.com/news/business/21646741-lawyers-beware-accountants-are-coming-after-your-business-attack-bean-counters. Accessed 26 May 2015.